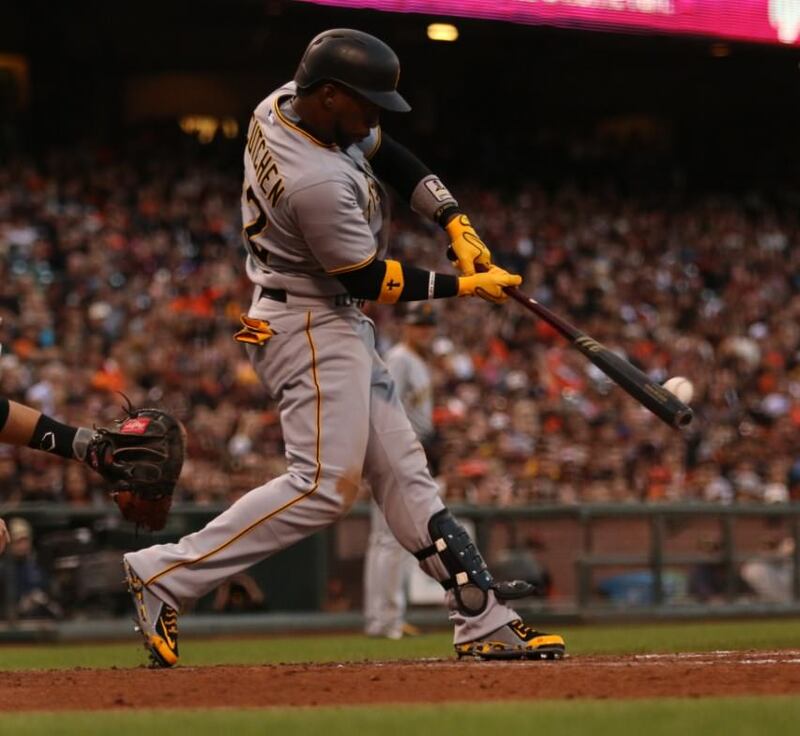 In 2015, McCutchen is rocking a couple new colorways of the Swingman MVP Remix 2, with traditional camo soles. The away versions are seen in the photo. At home, he’s wearing white/black. 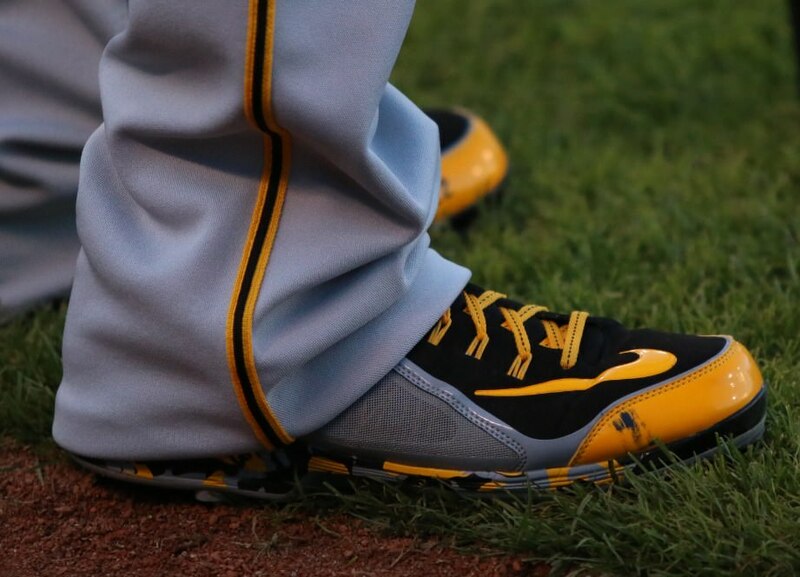 Categories: Gear, Outfield, Cleats, Pittsburgh Pirates, Andrew McCutchen.